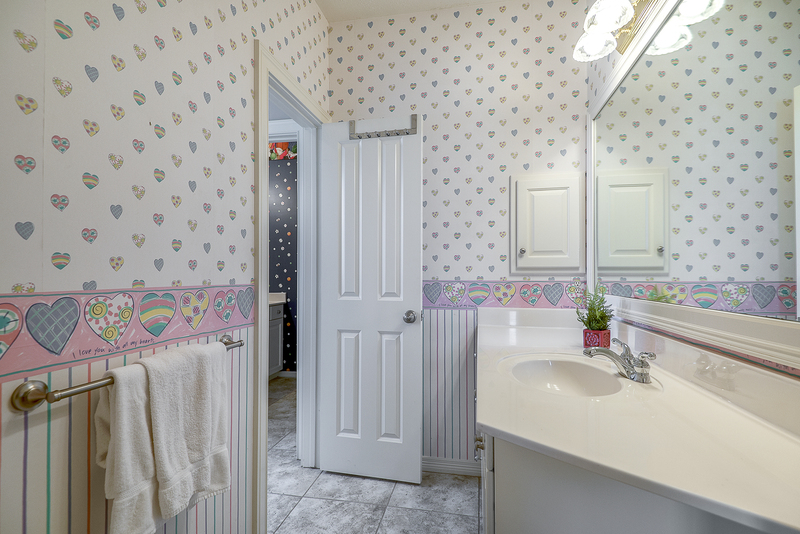 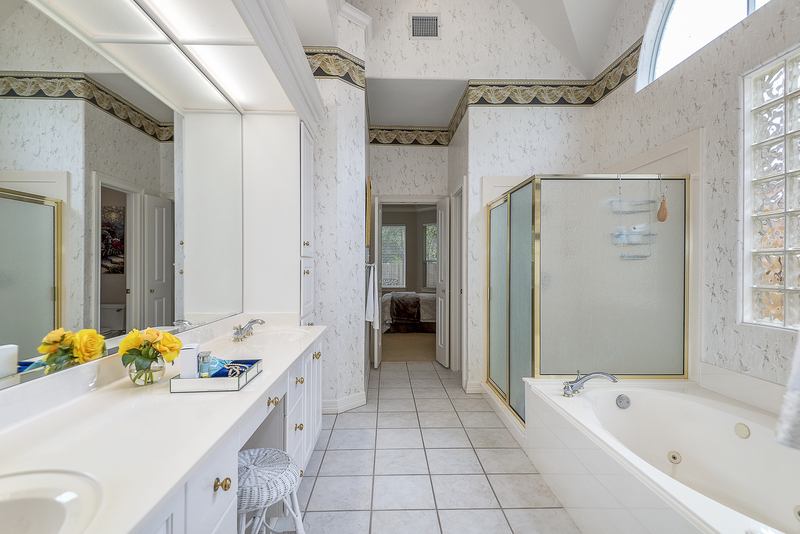 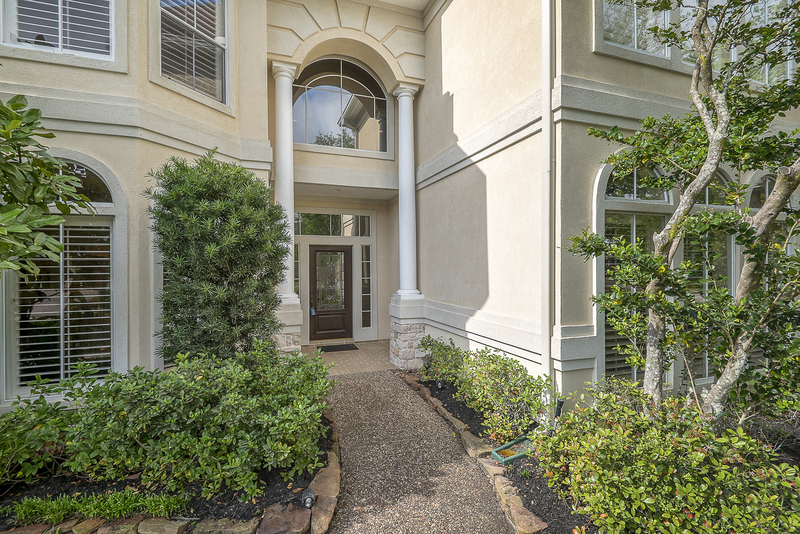 Highly desirable location for this custom home. 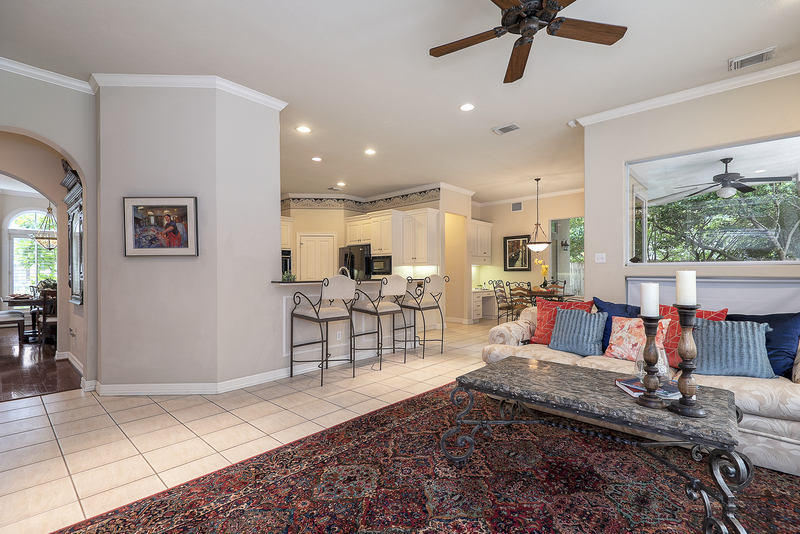 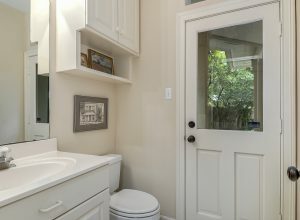 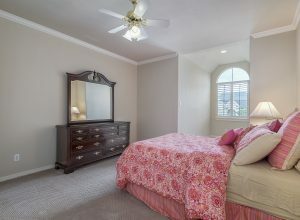 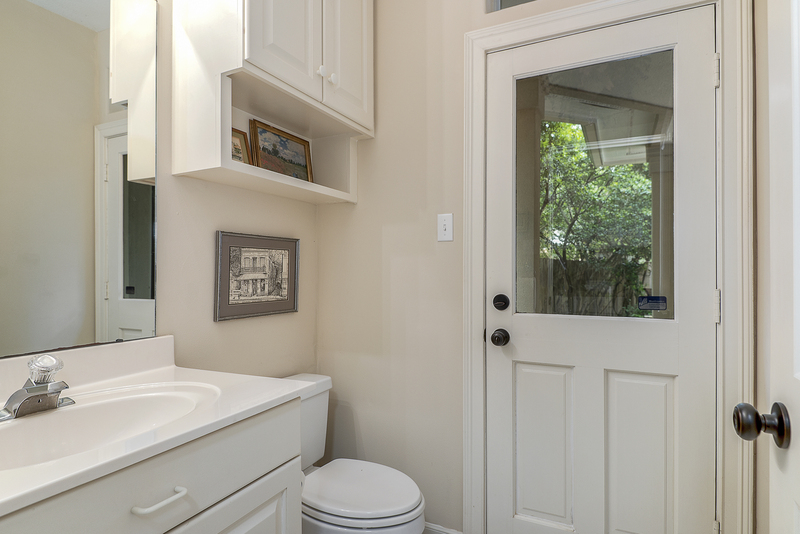 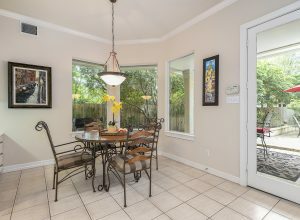 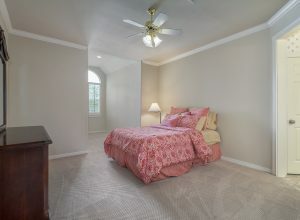 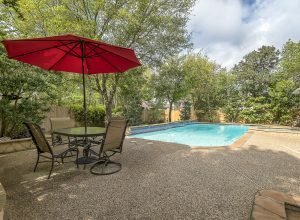 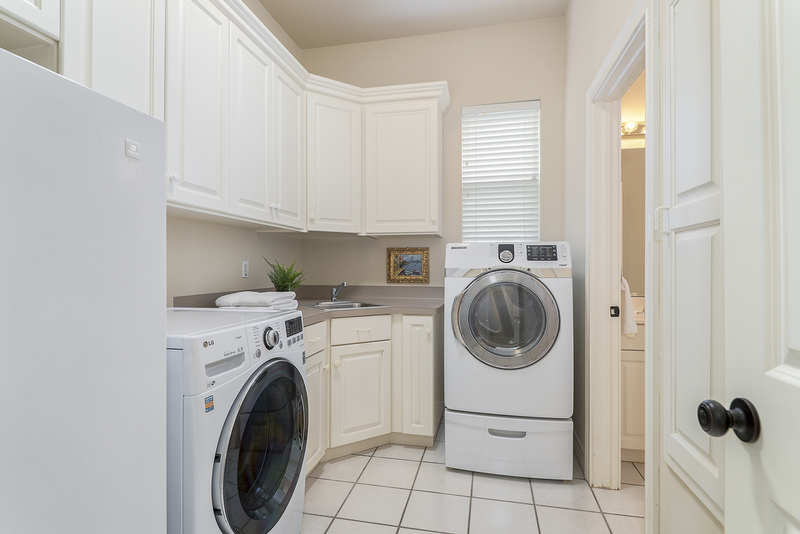 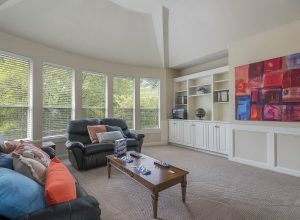 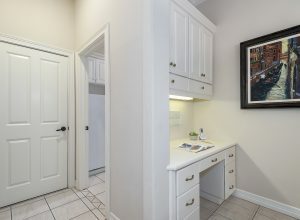 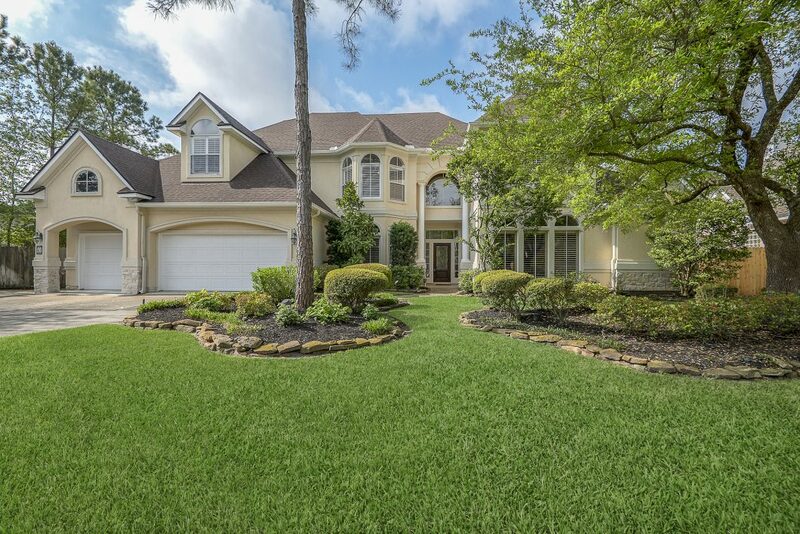 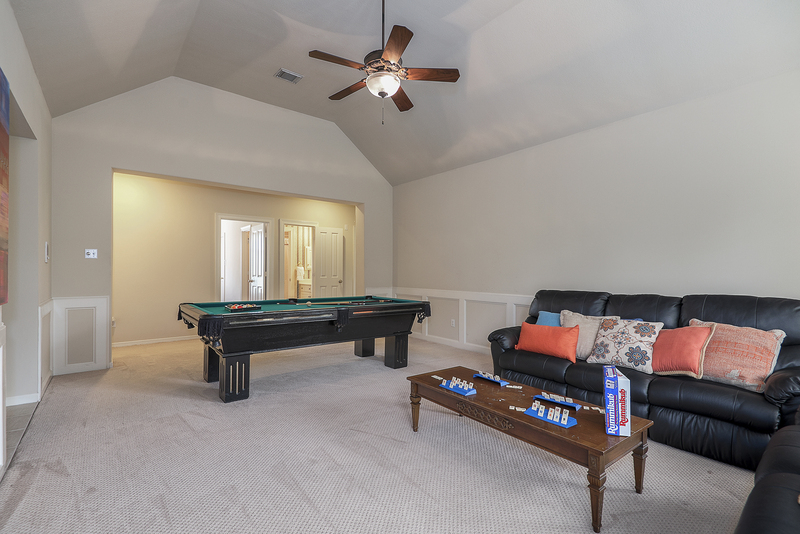 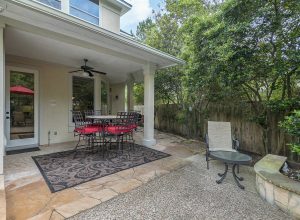 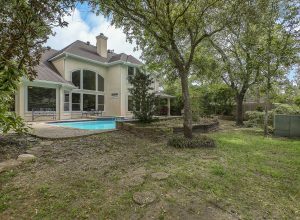 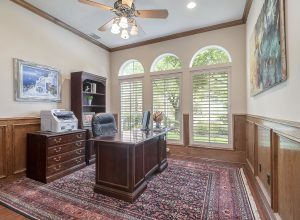 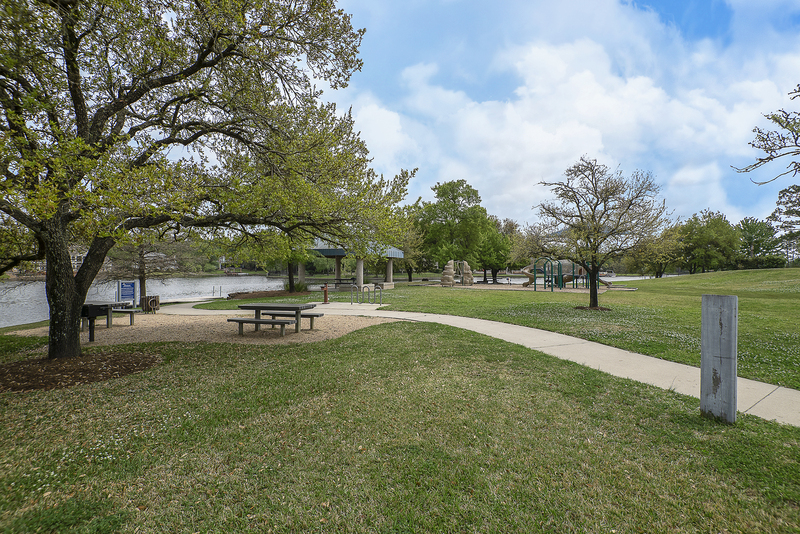 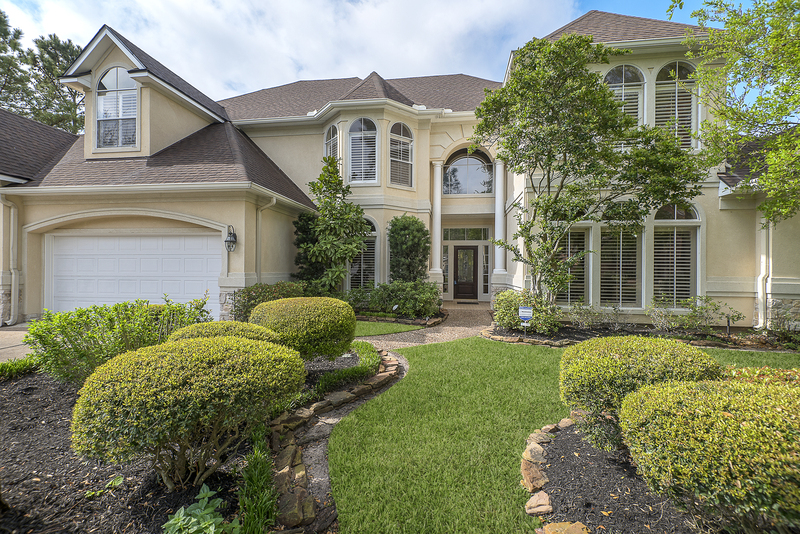 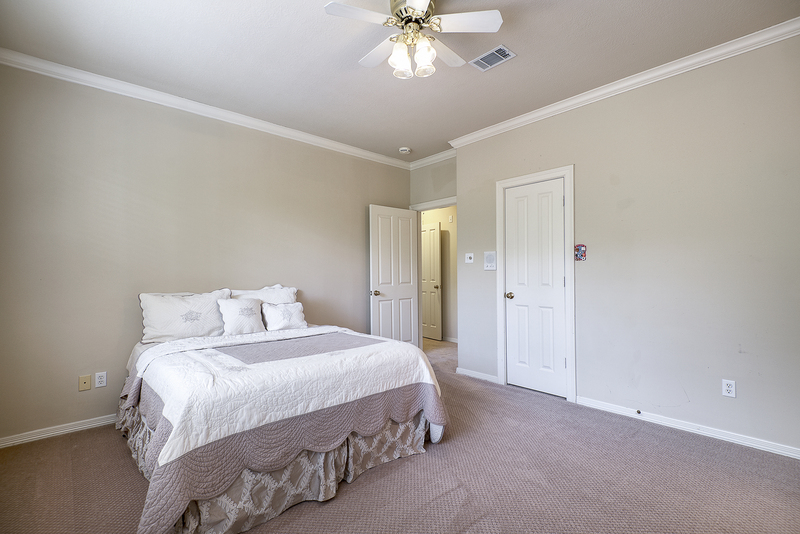 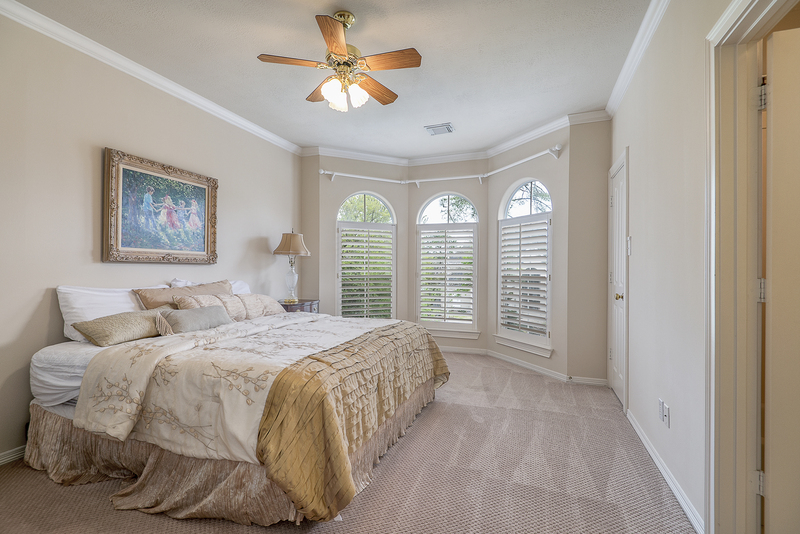 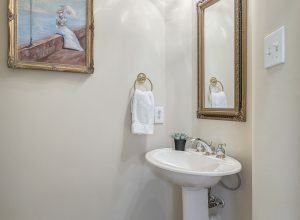 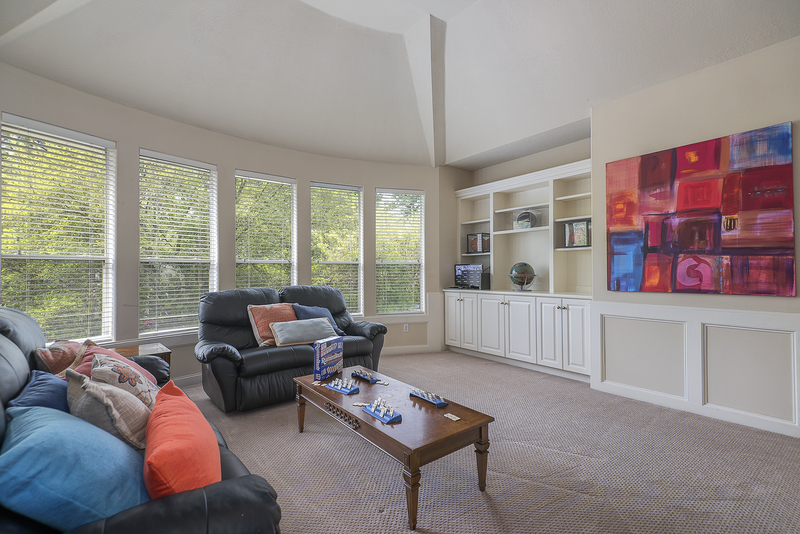 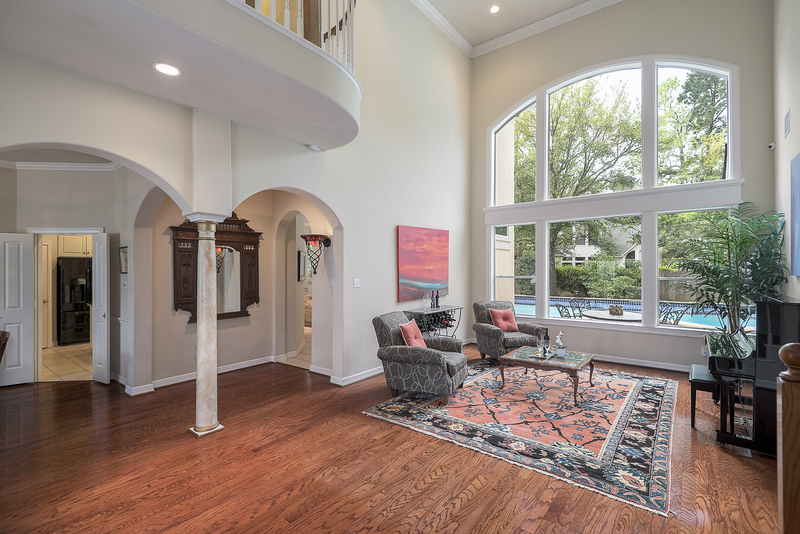 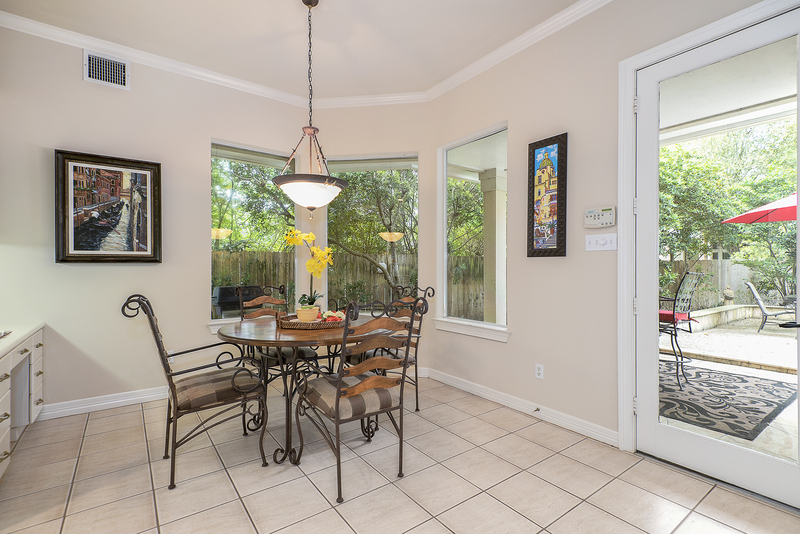 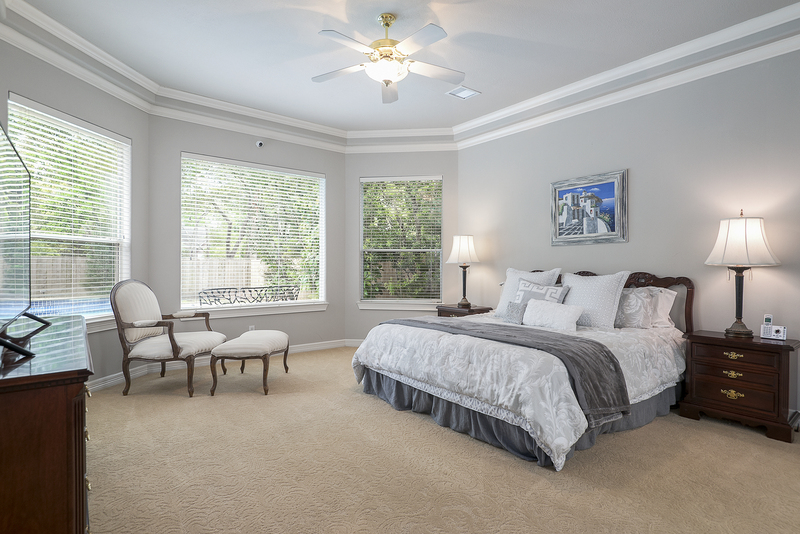 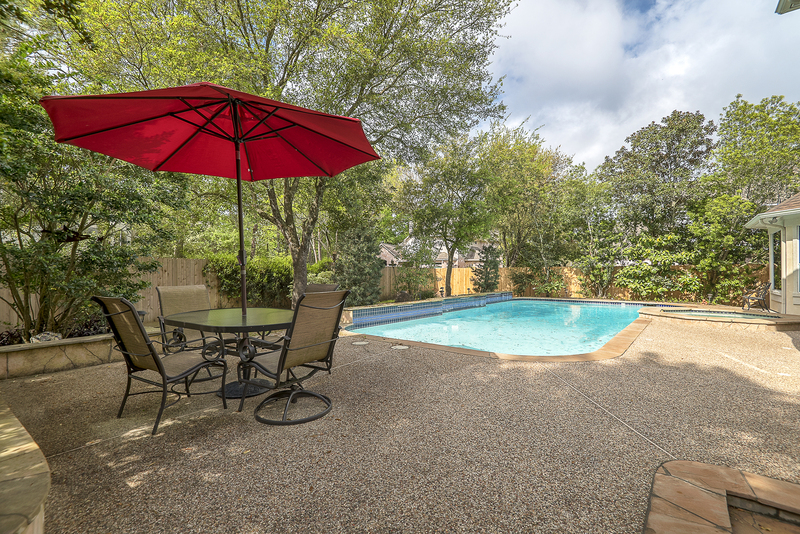 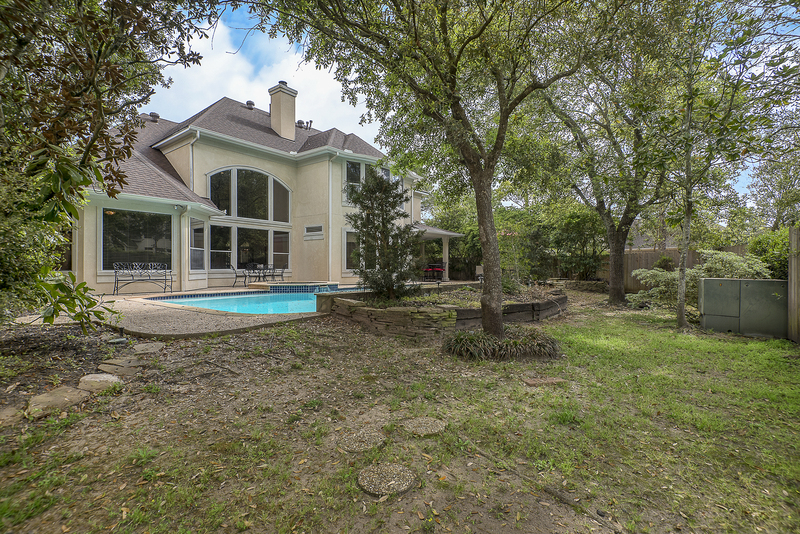 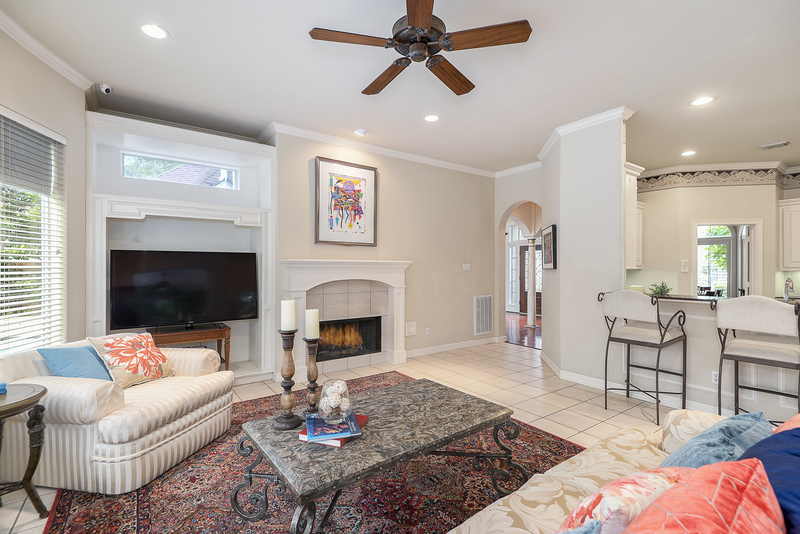 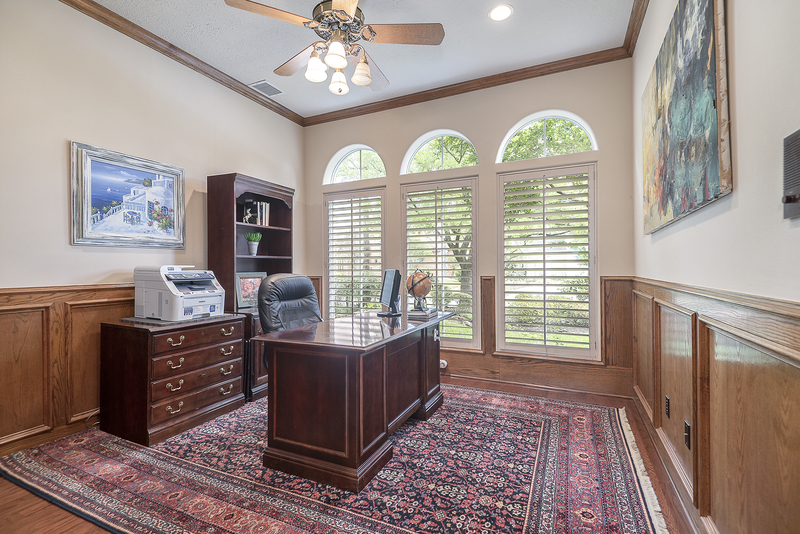 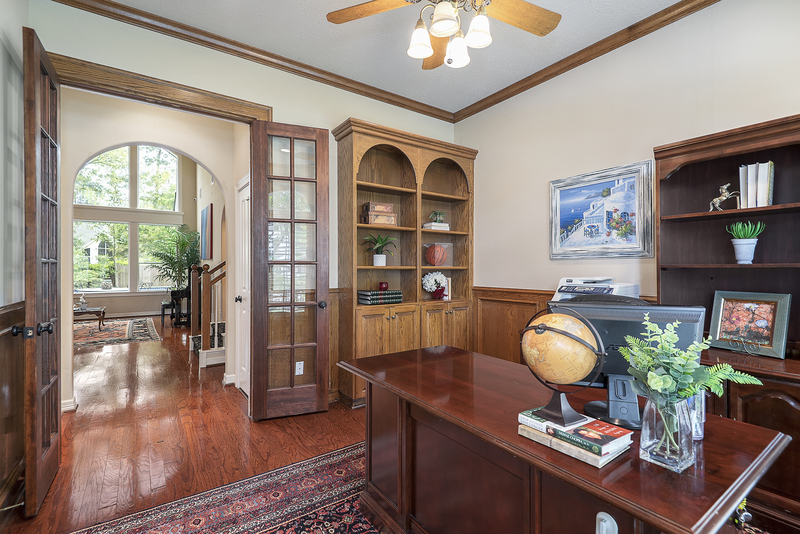 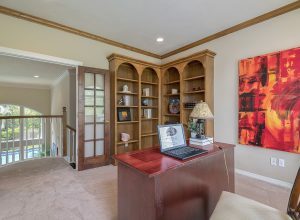 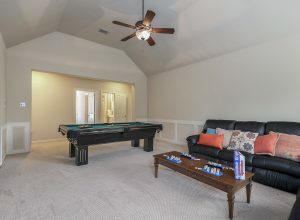 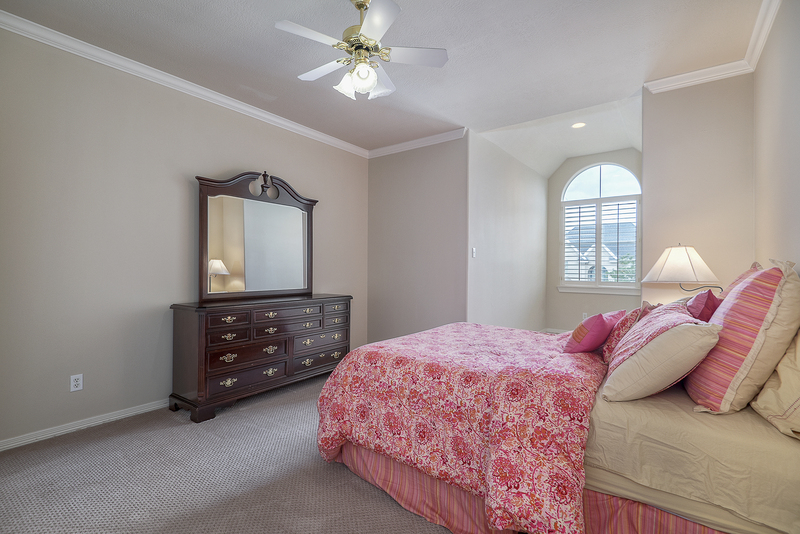 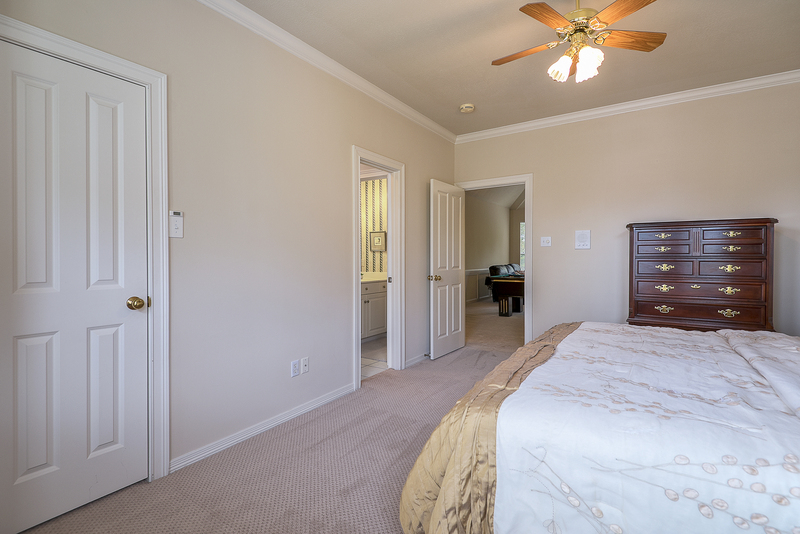 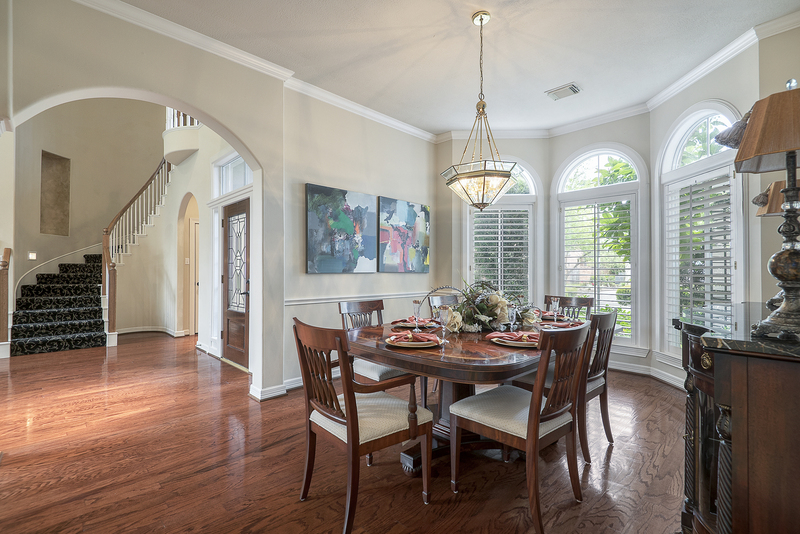 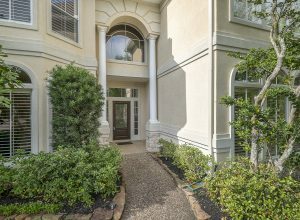 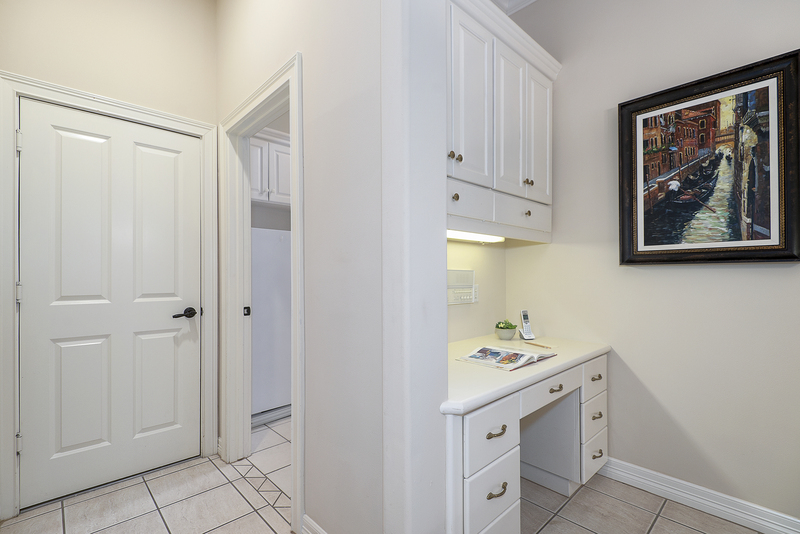 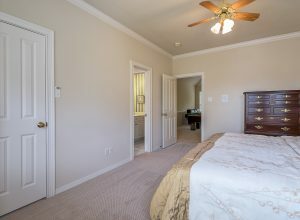 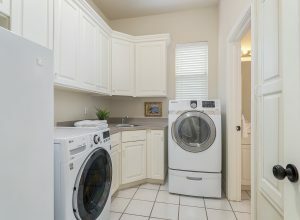 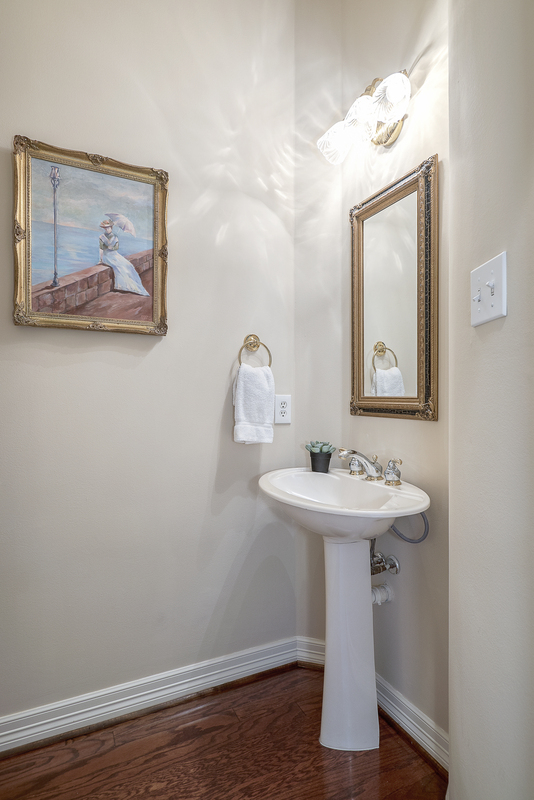 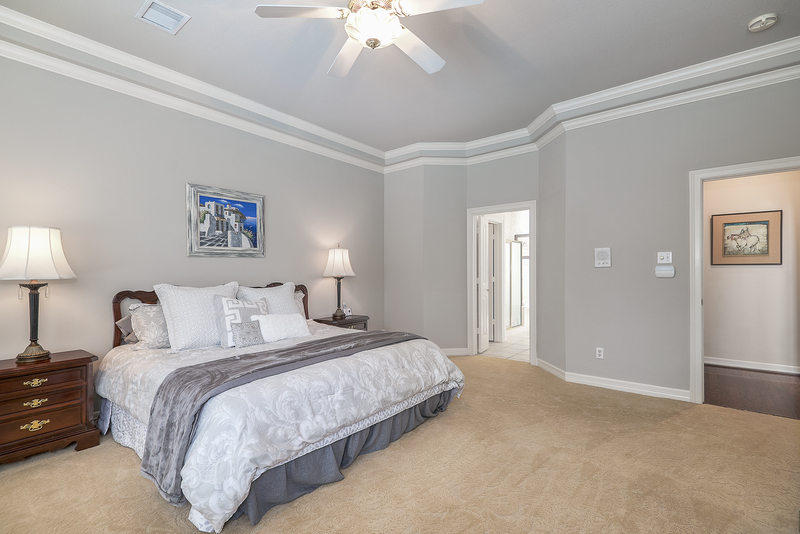 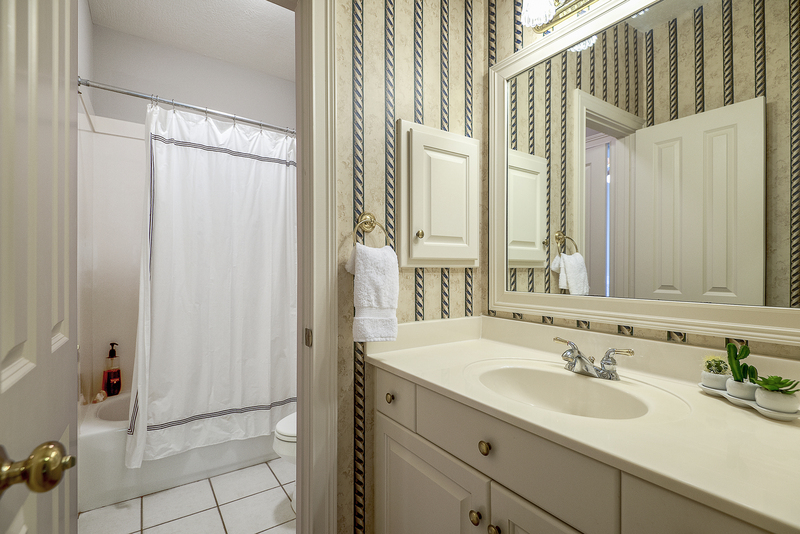 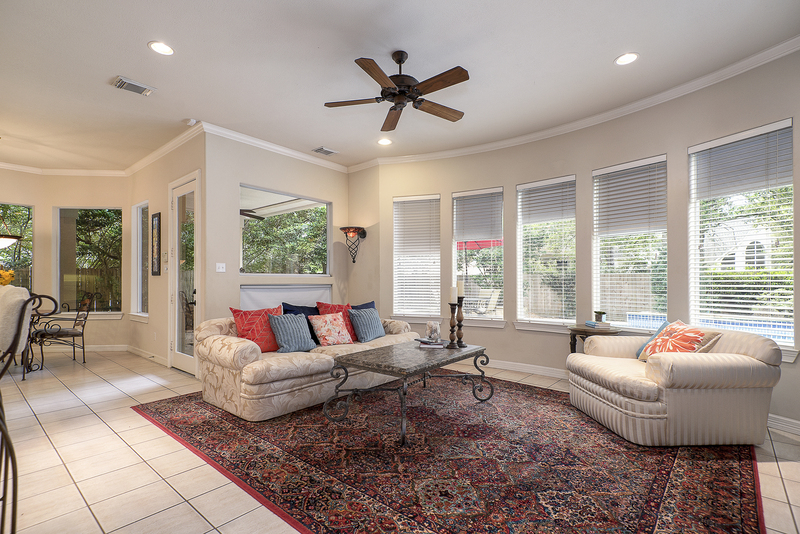 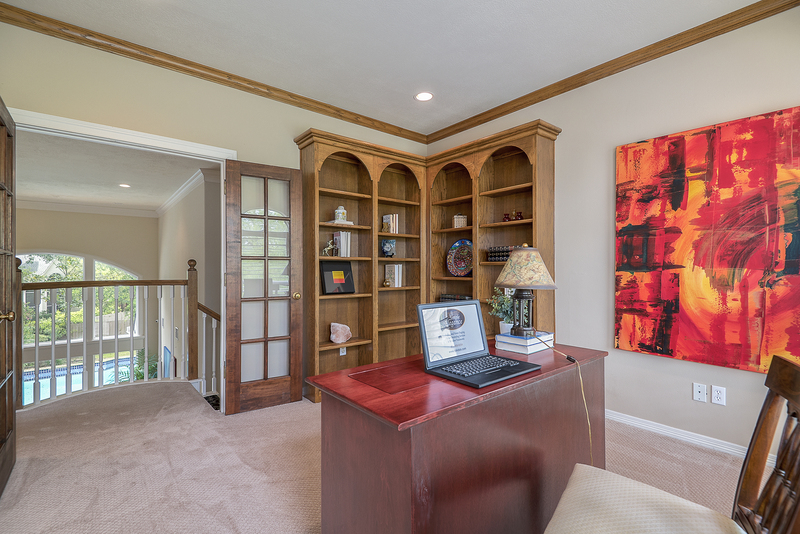 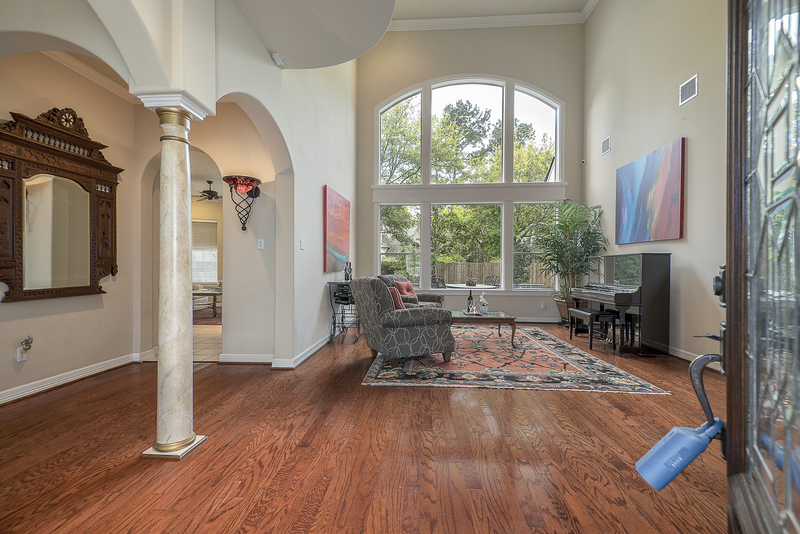 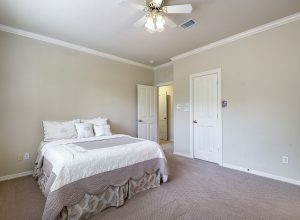 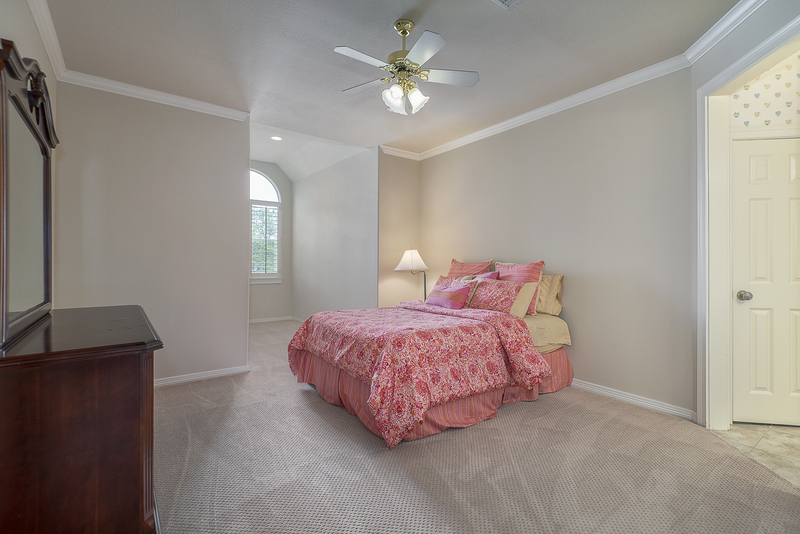 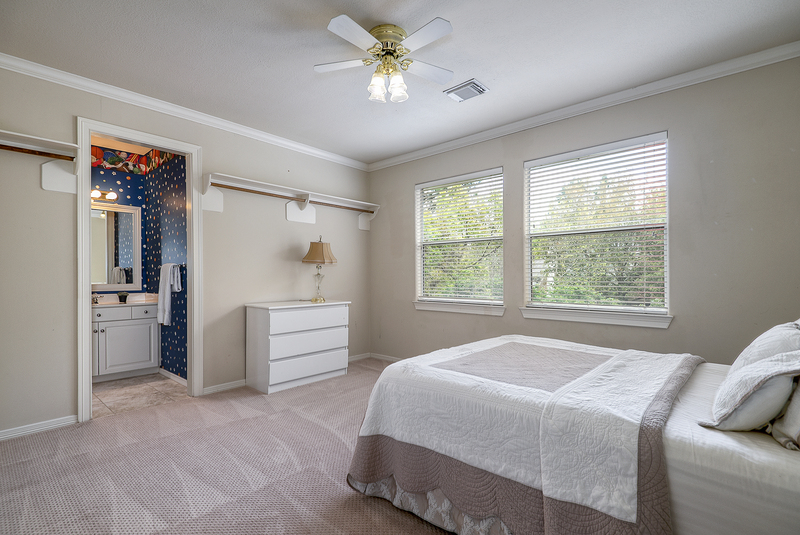 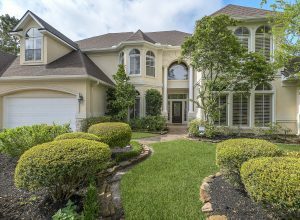 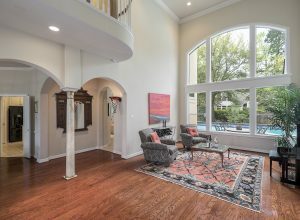 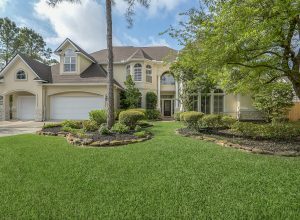 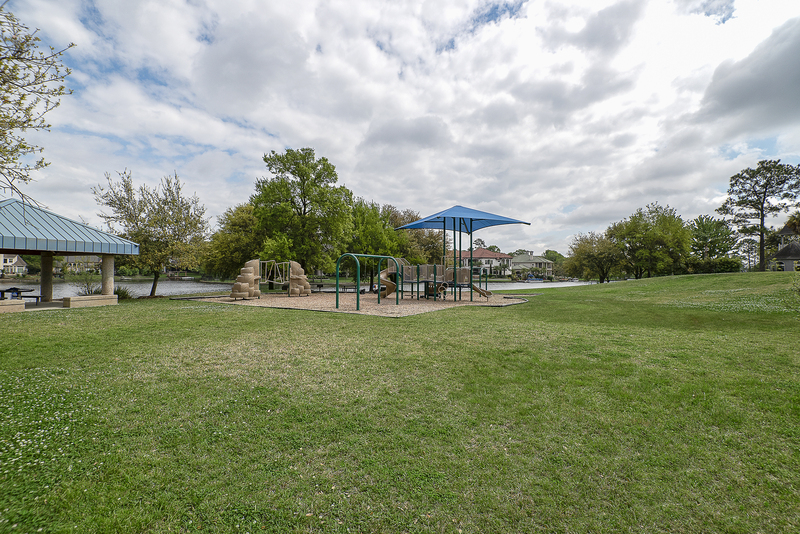 Nestled in The Cove on a quiet lot with convenient access to everything The Woodlands has to offer. 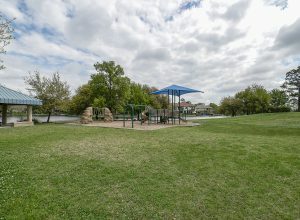 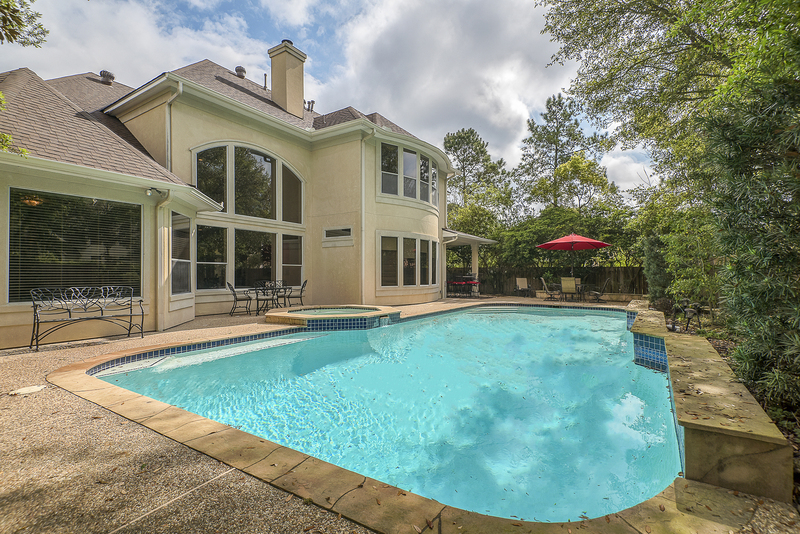 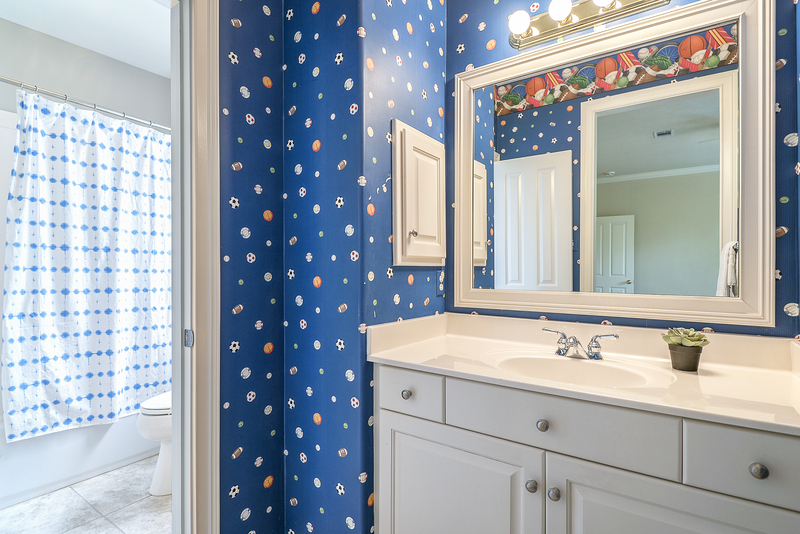 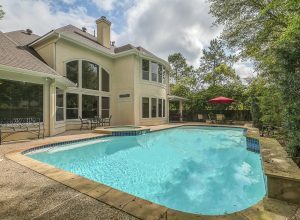 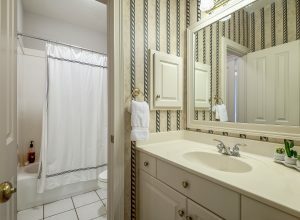 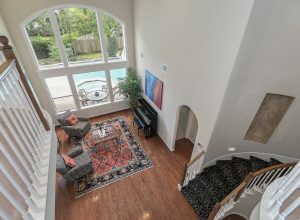 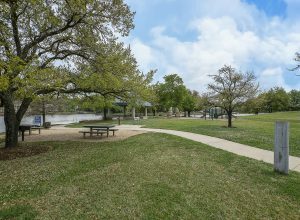 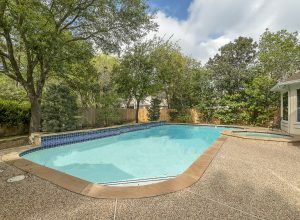 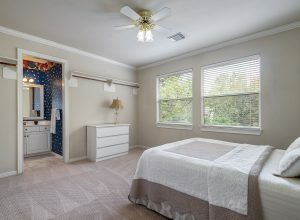 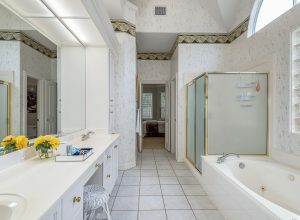 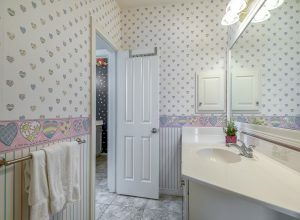 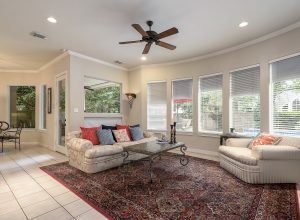 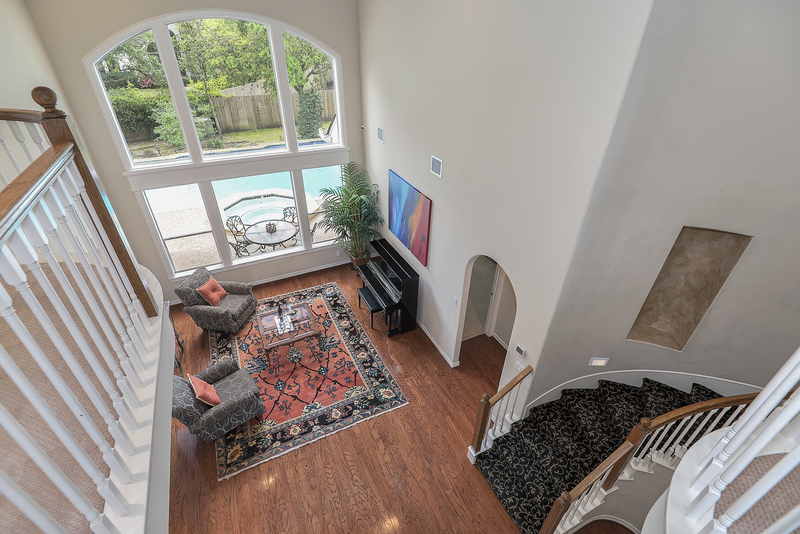 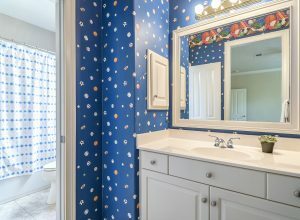 Close to I-45, parks, pools, shopping and restaurants. 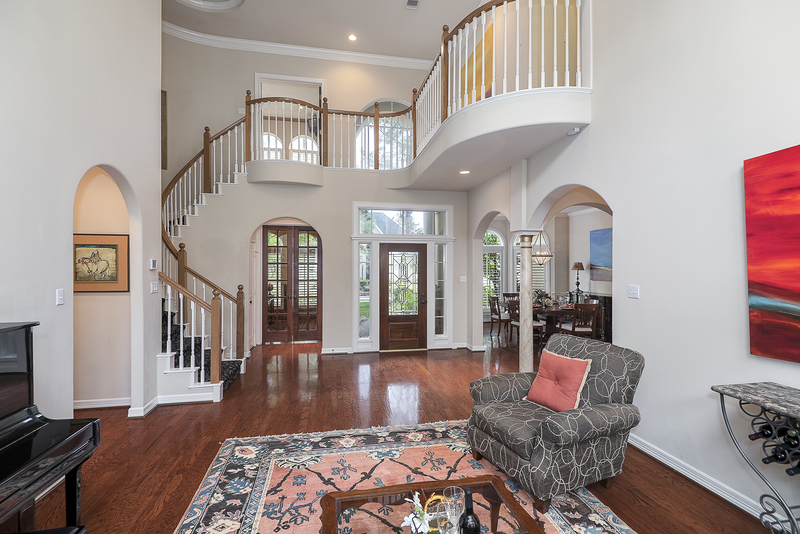 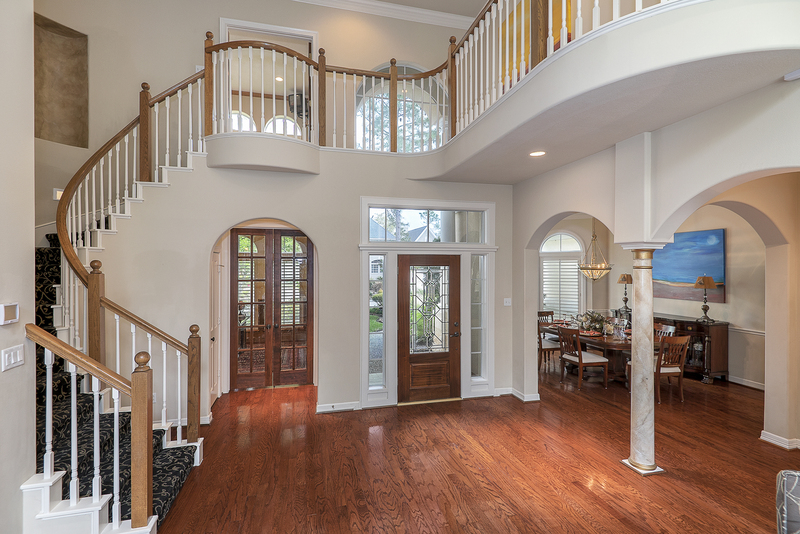 Dramatic foyer with views of the private backyard. 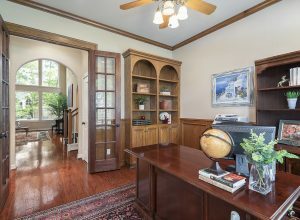 Two studies one on the first floor and one at the top of the stairs, both with built-ins. 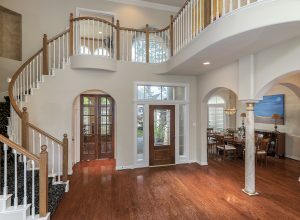 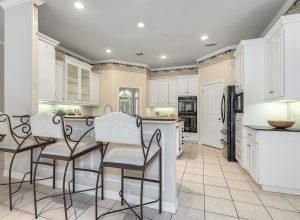 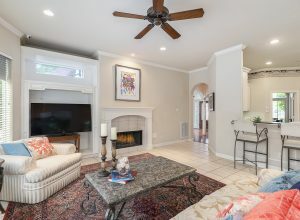 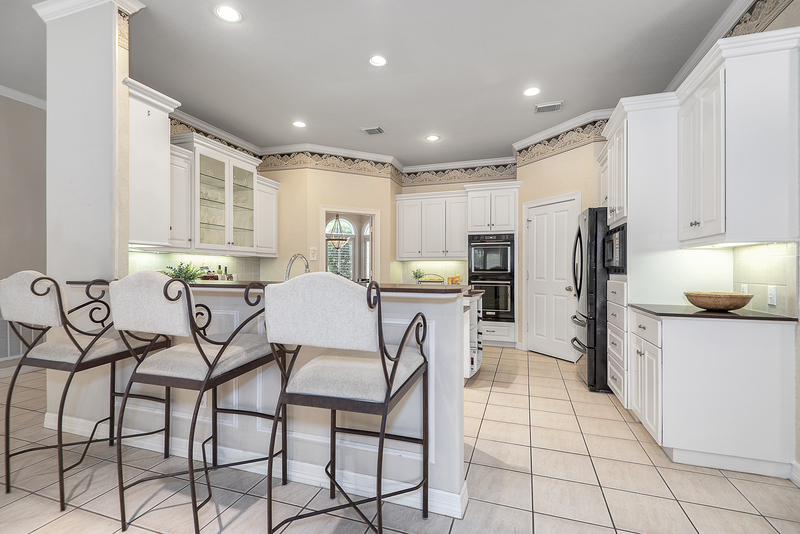 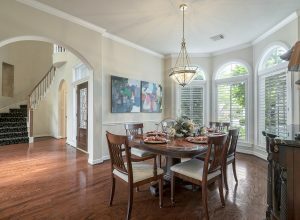 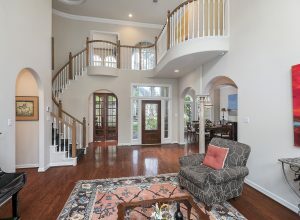 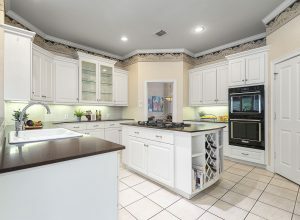 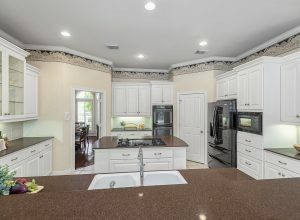 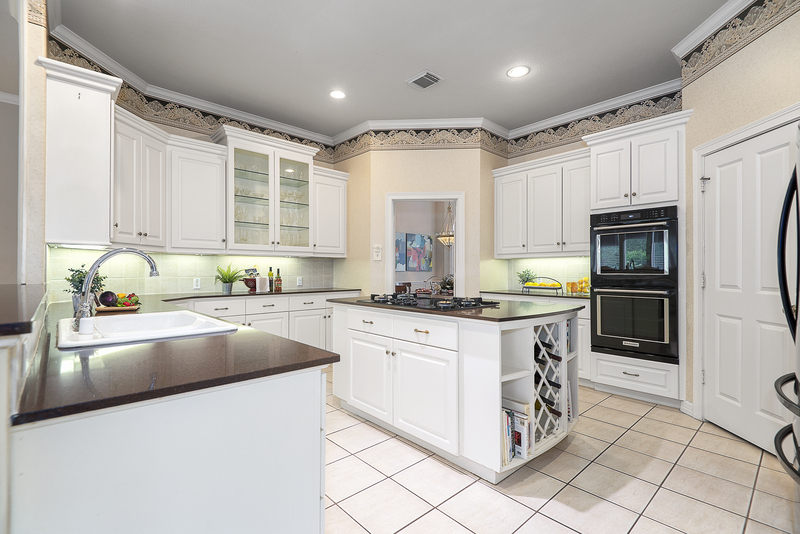 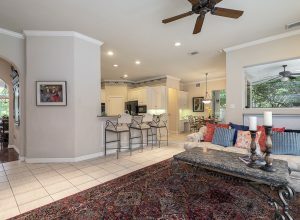 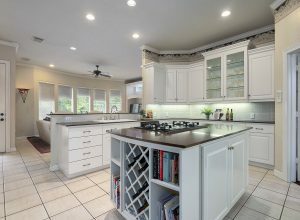 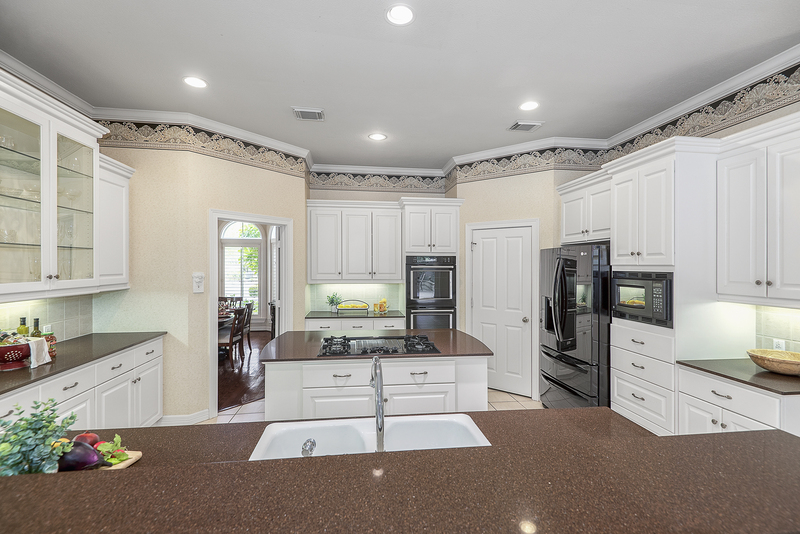 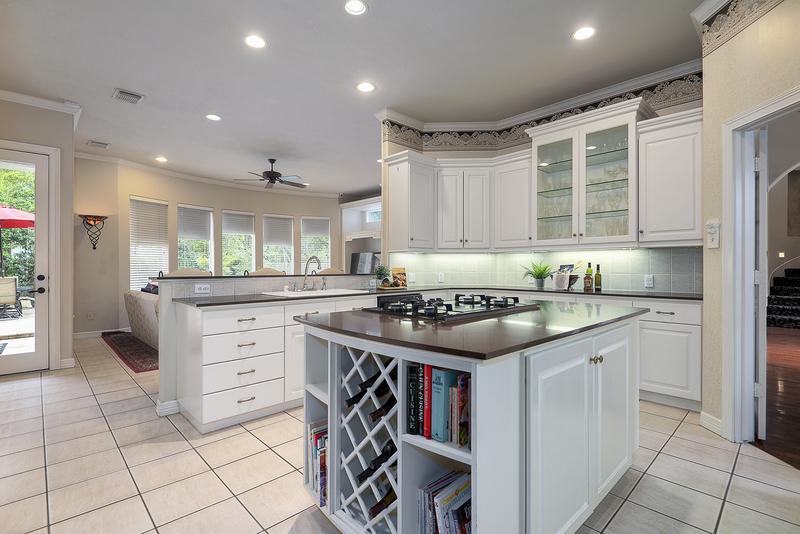 Sweeping staircase, extensive trim, wood floors, elegant formal dining, plantation shutters, gourmet island kitchen with breakfast bar, Stonite counter tops & double oven, built in desk area,under counter lighting, pool bath and powder room, huge 3 car garage with epoxy coating. 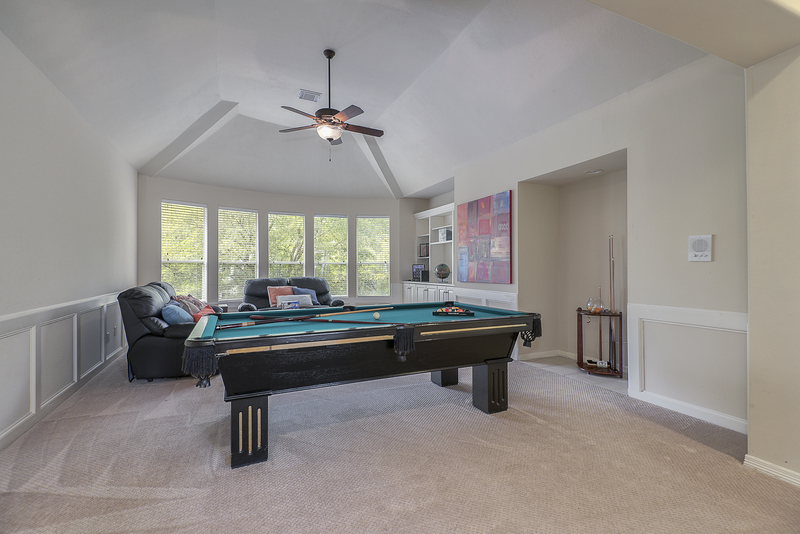 Large secondary bedrooms, enormous game room. 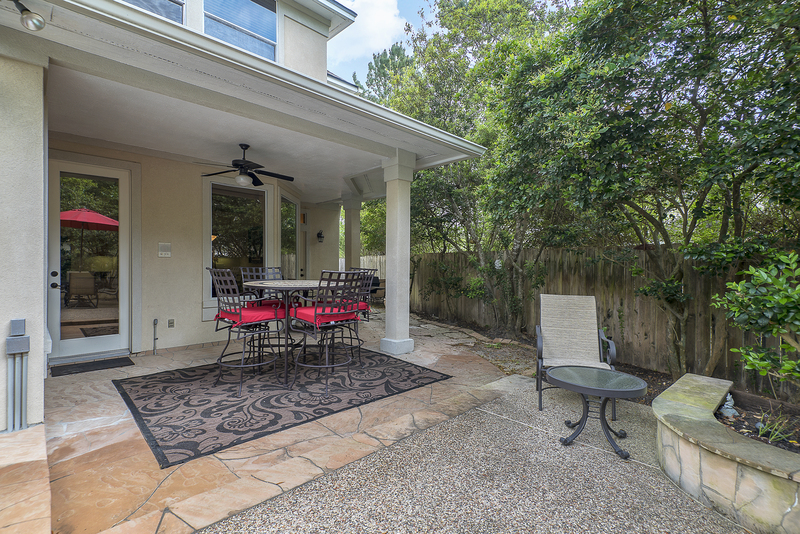 Covered back patio and extensive decking. 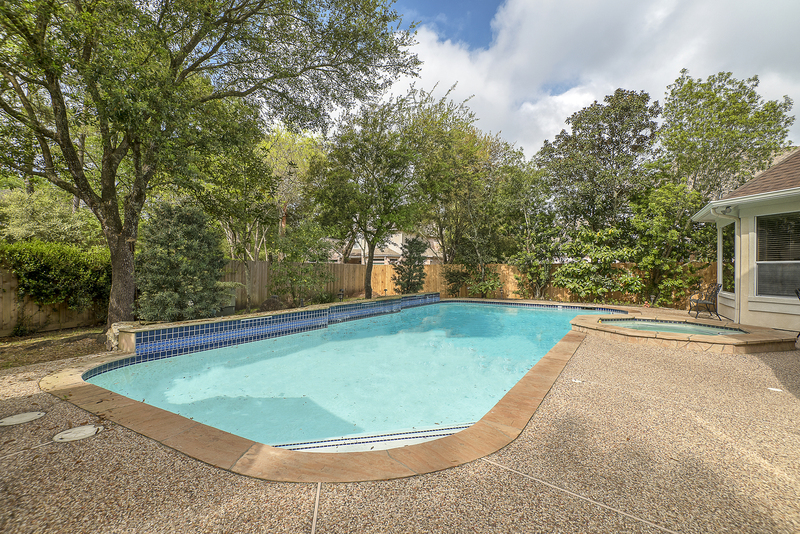 40 ft sparkling pool & spa, diving depth of 9.5 ft. 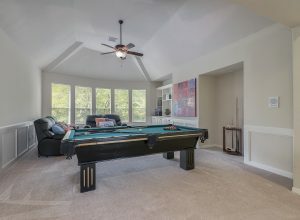 Many recent updates including recent roof.